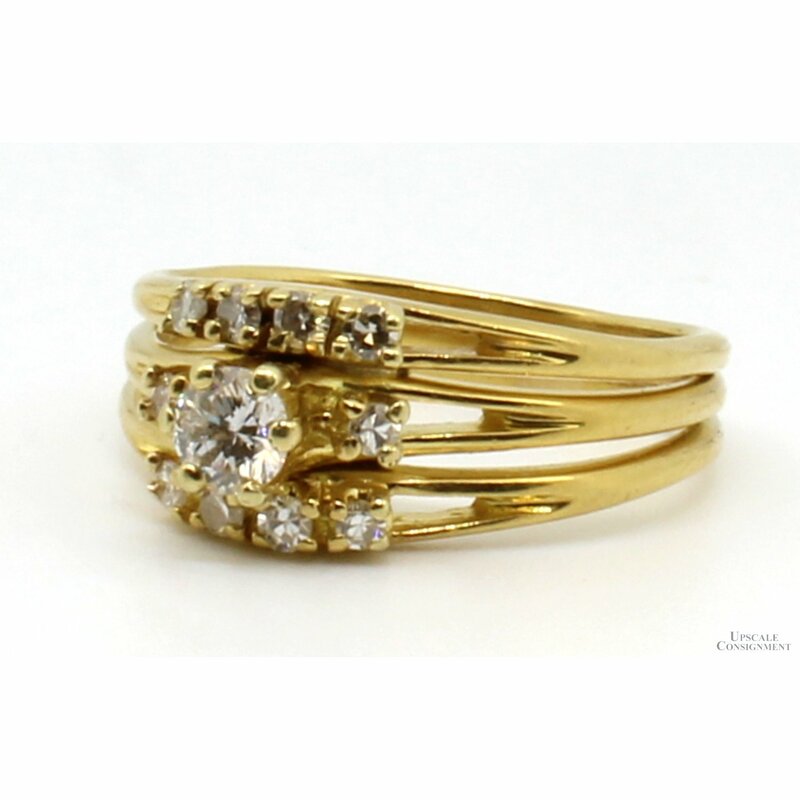 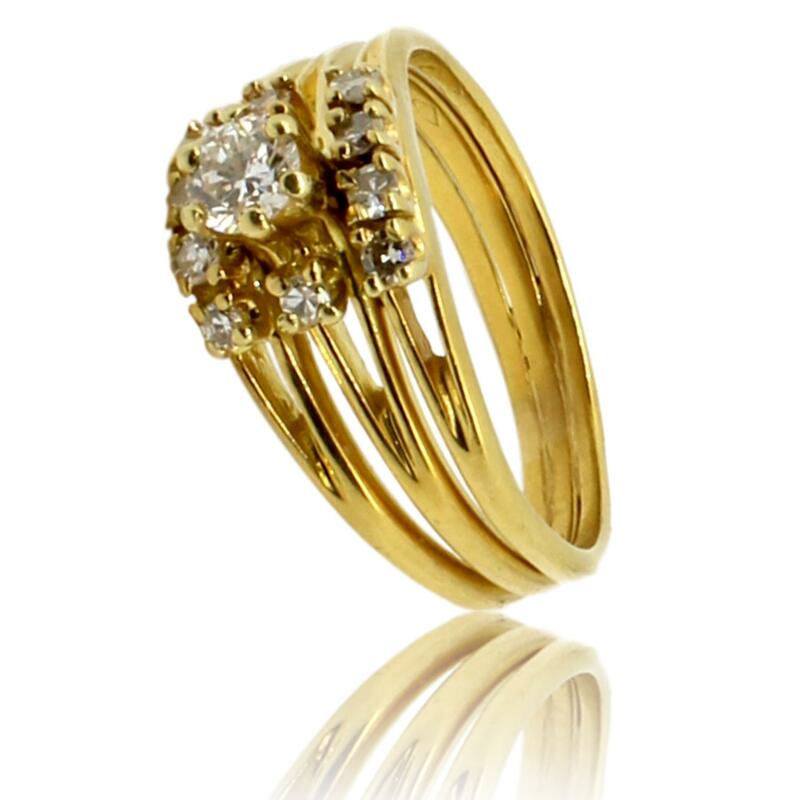 18 karat yellow gold diamond bridal set consists of an engagement ring and two wedding bands. 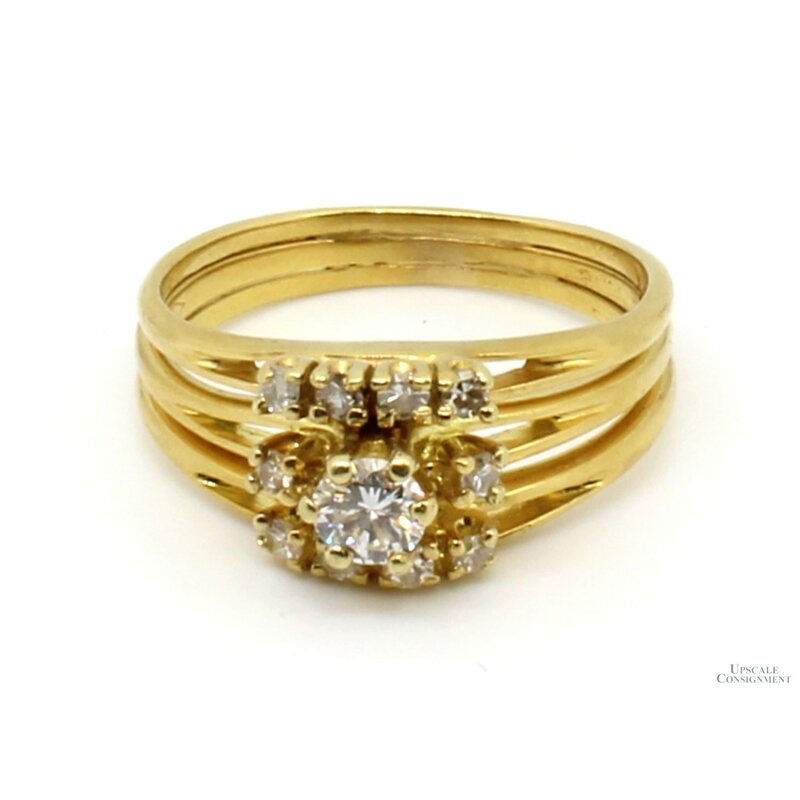 The engagement ring features one .25ctw round, brilliant cut diamond accented by two 1.8mm round diamonds. 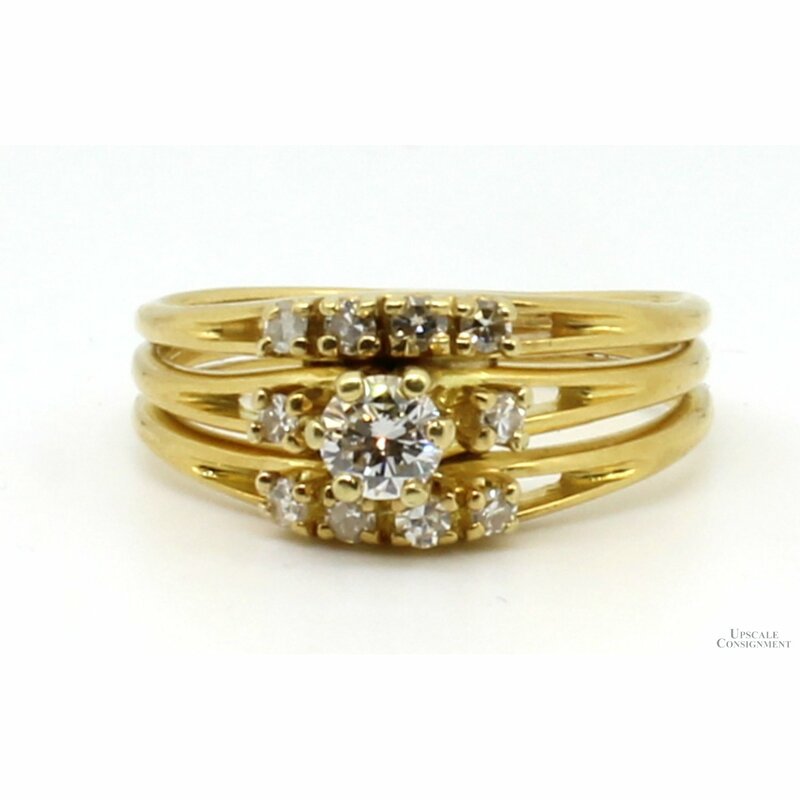 Each wedding band has four 1.8mm round diamonds. 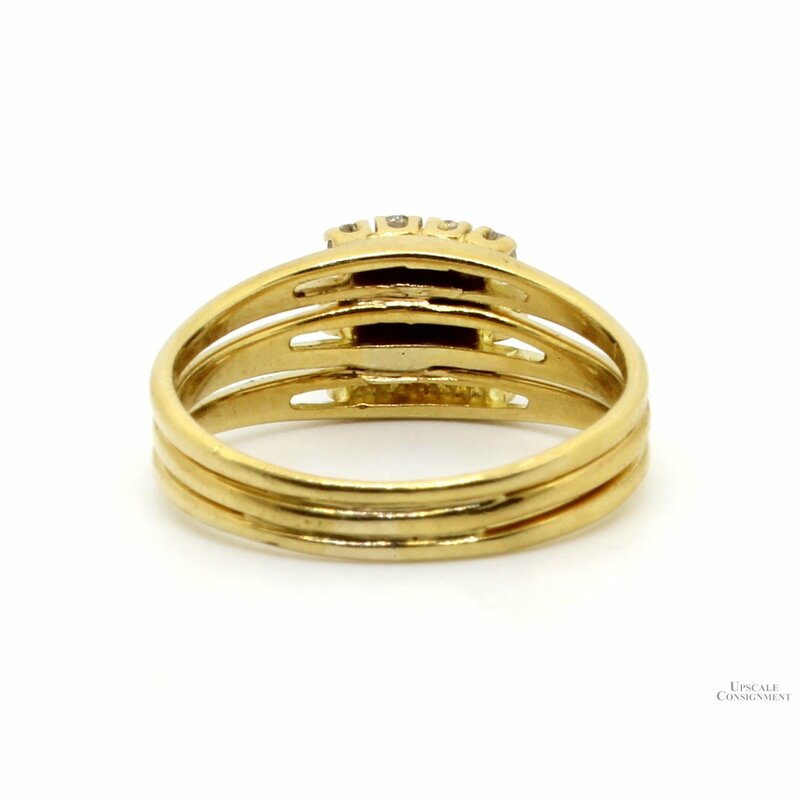 Rings are soldered but can be un-soldered if desired.